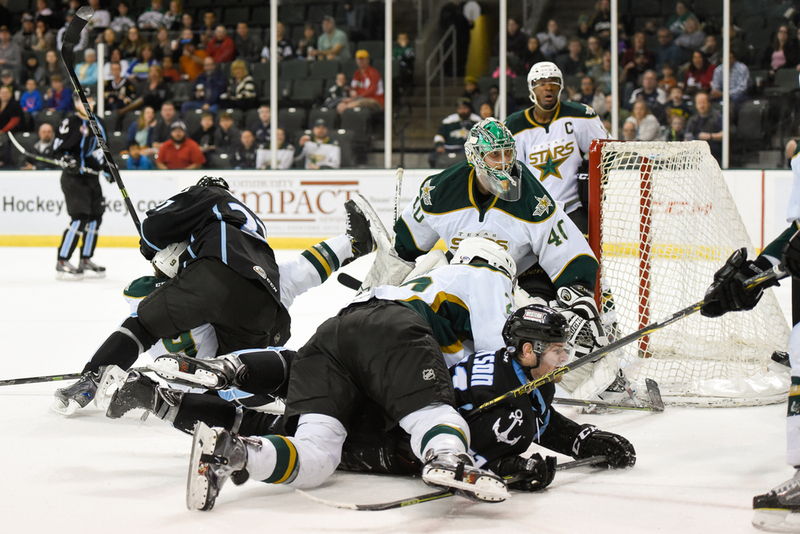 The Texas Stars won 4-3 in a fast paced, hard hitting game against the Milwaukee Admirals last night. The Stars' power play was responsible for the majority of scoring. 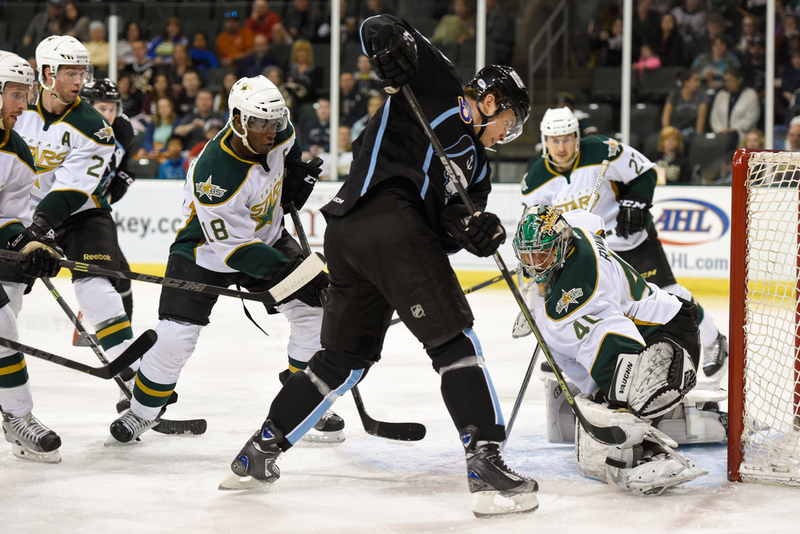 After taking an early lead in the first, the Stars held on as the Admirals pounded the net in the third, narrowing the gap to a single goal. The first shot is a nice toe kick save by Jussi Rynnas. In the second shot, Stars newcomer Devin Shore braces for a hit. The third shot is representative of the fierce melee around Rynnas' net late in the third period. I have a little bonus this time around. I took a GoPro camera that I recently acquired to the game and got some footage from my shooting position. Here's a clip. You can find a few more in the game gallery.